The poppy is one of my favorite flowers. Whether it’s Himalayan blue, California yellow, or purple, these delicate flowers are hard to ignore. I must confess a special fondness for red poppies. 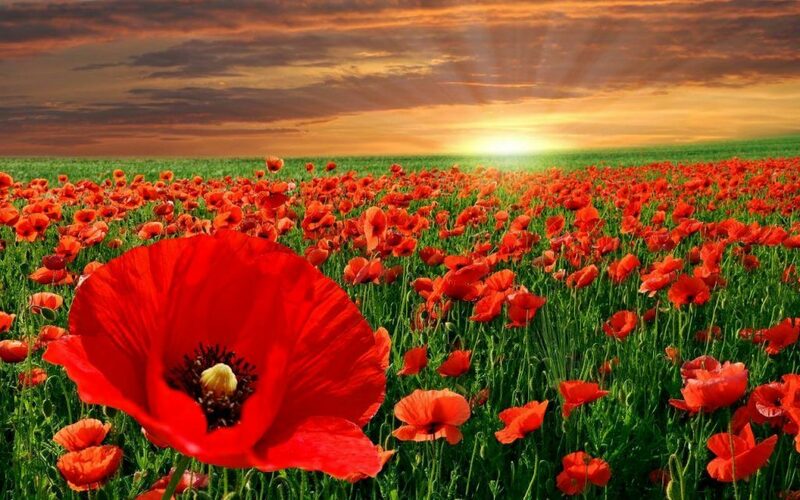 Of course, they are beautiful to look at, but did you know they have a special connection to Remembrance Day and Memorial Day? Take a look at some facts about red poppies and learn how they became a symbol of soldiers lost in World War I. The connection between the red poppy and soldiers killed on the battlefield goes back to World War I. World War I was one of the deadliest wars in history. Over 16 million people were killed during this war, and 20 million people were wounded. Furious battles in places like Belgium and France created a landscape full of burned fields, fallen trees, and torn up soil. While flying over these scarred battlefields, a soldier named John McCrae noticed the red poppies growing there. This prompted him to pen thefamous poem, In Flanders Fields. The seeds of poppy flowers travel on the wind, scattering across the ground. When the soil is disturbed, these dormant poppy seeds begin to grow. This is why red poppies started to appear on so many European battlefields during WWI. In 1918, a woman named Moina Michael started the tradition of wearing a red poppy to honor and remember the dead from World War I. She worked at the New York headquarters for the Overseas War Secretaries and wanted a way to display her support. She happened to read John McCrae’s famous poem in a magazine and thought of wearing a red poppy in support of fallen soldiers. Others noticed Moina’s poppy and asked her for a flower to wear. Soon, wearing a red poppy became a way to honor fallen soldiers who served in WWI. Moina Michael also wrote a memorable poem called, We Shall Keep the Faith. Poppies grow best in well-draining soil. These flowers should be planted a couple of inches apart so they have ample space to grow. They need about six hours of sunlight per day to flourish. Poppies are vulnerable to various pests, including spittle bugs, aphids, and Hoplia beetles. Hoplia beetles can chew on the petals of a poppy and harm its roots. These flowers don’t need supplemental water unless it’s extremely hot and dry throughout the summer. If you have dogs or cats, keep them away from your poppy flowers. These flowers can be toxic to pets, causing them to fall into a coma or become dangerously ill.
Poppy seeds can lie dormant in the ground for 25 to 50 years before starting to grow. The yellow poppy is the official state flower of California. The first red poppy worn by Moina Michael was made of silk and purchased in a department store. 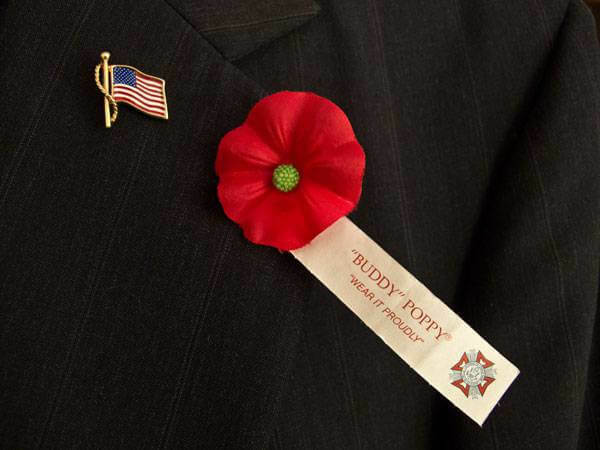 In 1920, the American Legion officially recognized the Memorial Poppy. The next time you see a lovely red poppy, remember Moina Michael and the historical significance of this simple flower.